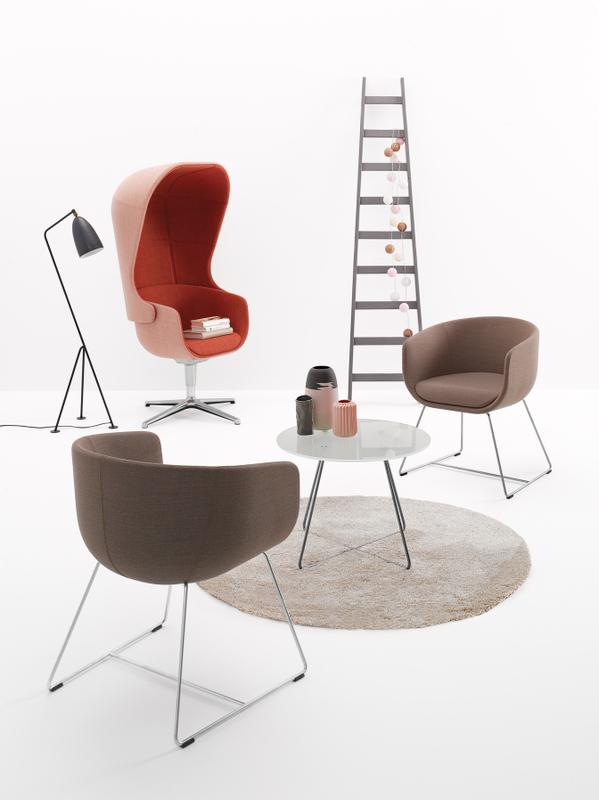 The Nu collection is an innovative approach to spatial organization in particular any space requiring compact solutions. This proposition is for official spaces and places intended to relax. 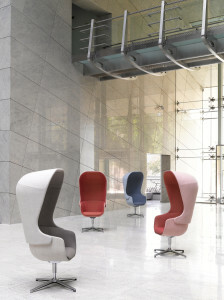 Nu will add character to office spaces and also to the hotel foyer. 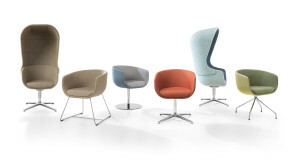 The collection includes two versions: low has the option of : a four-star base, a round flat base, four leg frame and wire frame. and high with the hood has two options: a four-star base or a round flat base. Thanks to this solution the designer wanted to give the user the ability to have a quiet conversation or time alone with his thoughts or book. 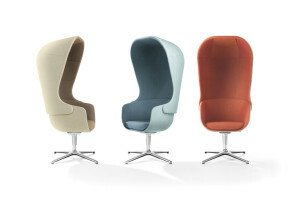 Nu elements, that is: cushion, the inner and the outer upholstery of the shell may have different colours of fabrics. 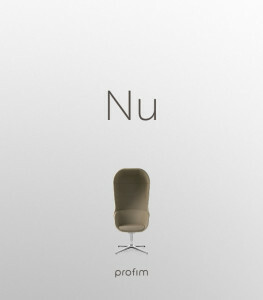 The Nu family may be complemented by coffee tables with a glass top.